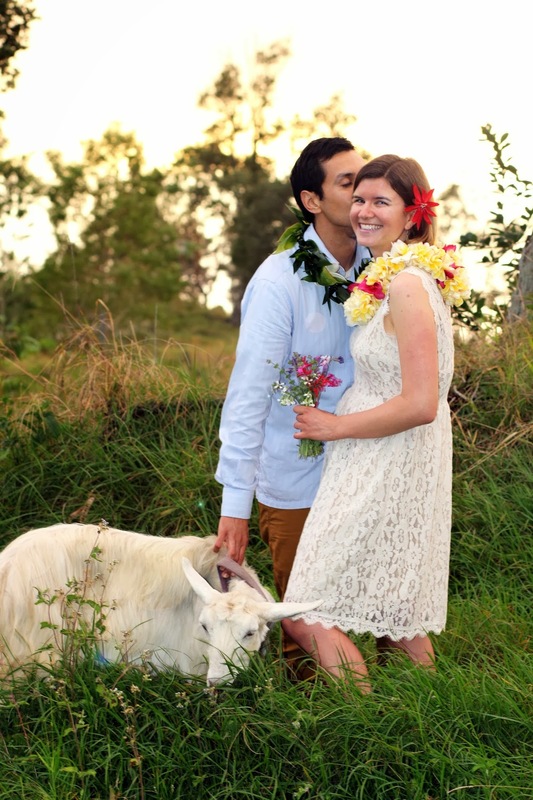 In January, 2014 we had our first wedding at the farm! 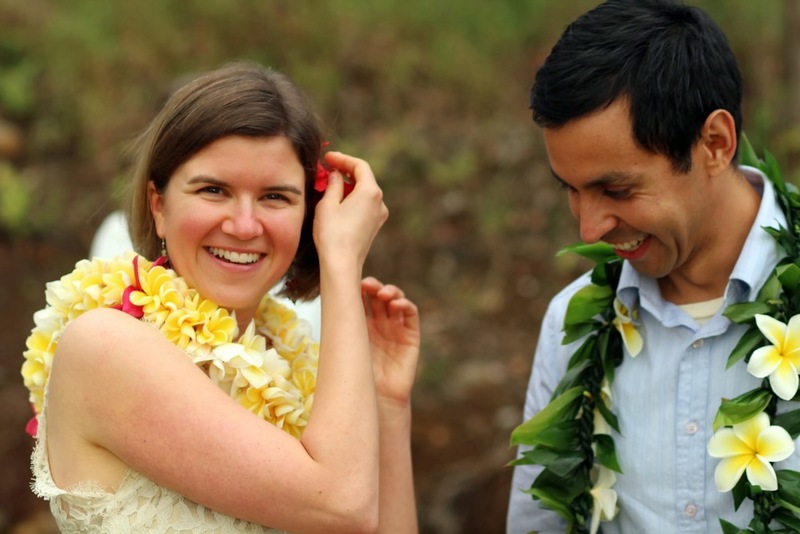 Meet Shannon and Adam, a couple from California who are finishing up their PhDs in geography. 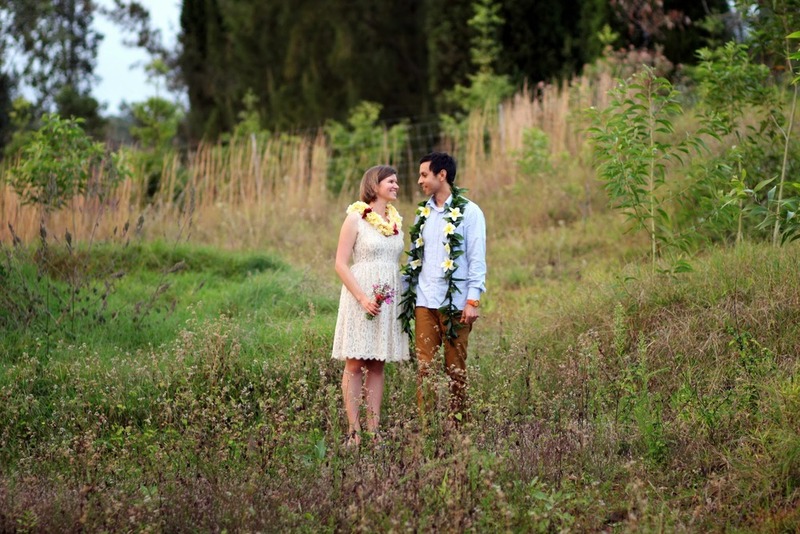 They had been together many years, but decided to elope on their trip to the Big Island. They looked at a bunch of beach locations for their ceremony, but decided that they would much rather have their ceremony on a farm. When they saw our (super cute) stand at the Keauhou Farmers' Market they got in touch with us about having their ceremony here. And of course we jumped at the chance to share in their special day. It was such a lovely ceremony under a huge koa tree overlooking the ocean. Shannon and Adam wrote their own vows and they were so perfect. In fact, Adam used the koa tree and its nitrogen fixing symbiosis with rhizobia as a metaphor for his and Shannon's love. Probably some of the cutest vows I have ever heard! Shannon and Adam hired Minister Doug and his wife Sophorn to officiate and to take pictures. Sophorn also made the most beautiful leis for the ceremony! Thank you Shannon and Adam for letting us share your special day. It was an honor!